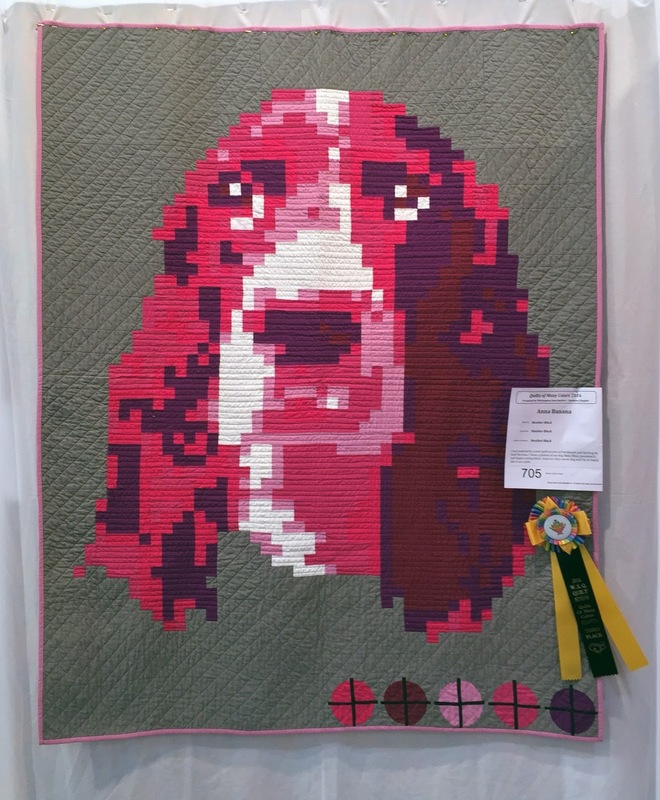 Beyond all belief I received not one but two ribbons at the Washington State Quilters show this weekend! I had a total of six quilts in the show you can see them here. 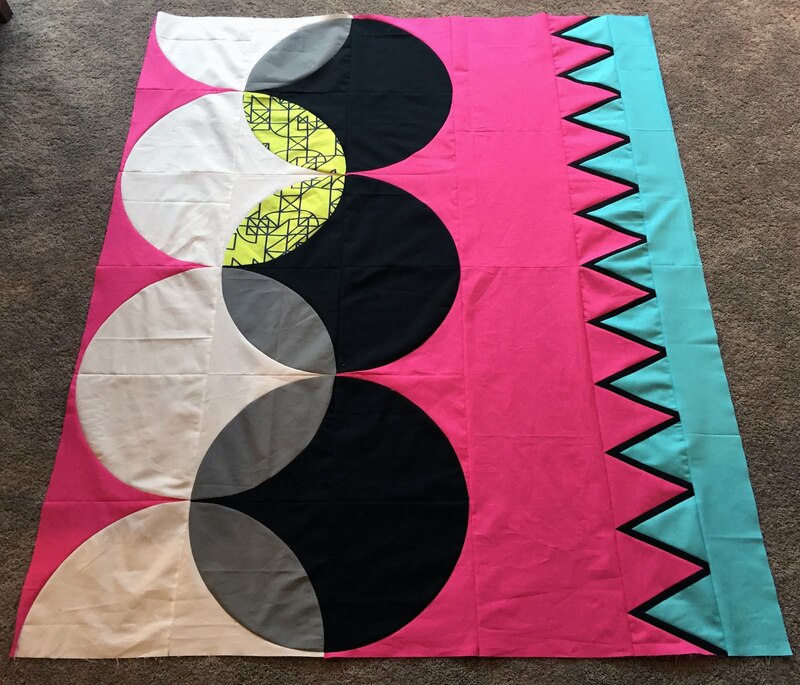 I know that I've said it before, here, but just because a quilt doesn't do well at a show or doesn't even get in don't give up on it. 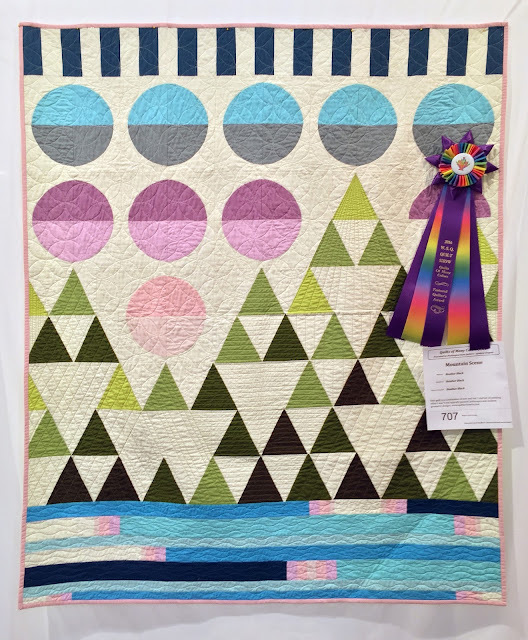 Remember last month Mountain Scene was folded in half and hung shamefully in the rafters with a red ribbon screaming "B grade work" on it and this month it was chosen from all the quilts in the show to receive the Featured Quilter's Award, by Robin Waggoner. So don't give up on those quilts near and dear to you that you are sharing at shows. 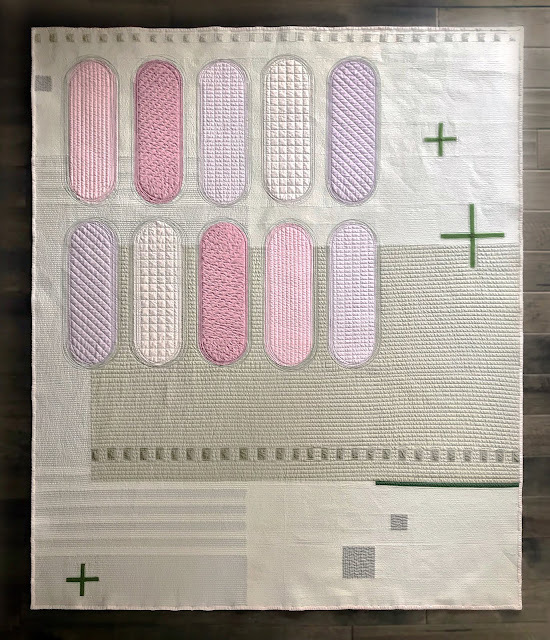 I'd also like to brag about our local Modern Quilt Guild, INMod. Two other member Wendy and Jeannine won ribbons for quilting and Wendy won first place in the modern category, very exciting. I've been busy designing and sewing. I designed this quilt because I really wanted to do something with crazy saturated colors. I really liked the colors and bought fabric, kona cotton solids, then got sewing. I couldn't help but think of the old Adam West Batman TV show while constructing this top, especially the fight scenes, POW! 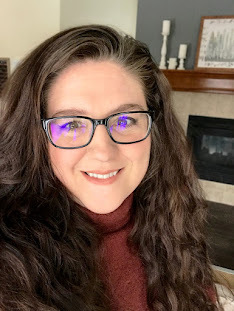 I also added a touch of print from Libs Elliot's True Love line, a fantastic fabric line. 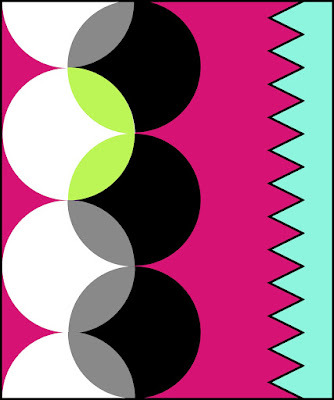 I'm excited to get quilting and figure out a name for this quilt, maybe something to do with comics, any ideas????? Congrats! These are both lovely quilts! 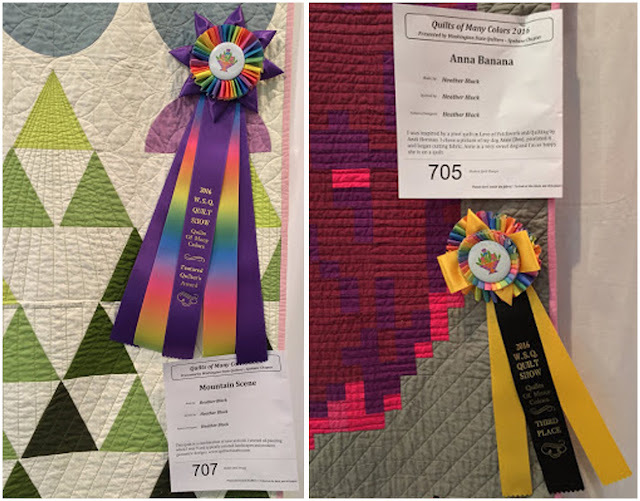 I've only entered my quilts in the local county fair and they tend to not show well because of the very traditional judges. I did get two third place ribbons this year, but was very disappointed in the things they judged to be first place in some of the categories. Thank you. I know what you mean about county fairs. Our fair uses a dutch style of judging, it's more like everyone getting an A gets a blue ribbon, everyone getting a B gets red and C gets yellow, then there are 5 special awards. I won a special award last year so I guess that's why I was so flabbergasted by a red ribbon this year, crazy. Congratulations on your two third place ribbons county fairs are a tough coward.